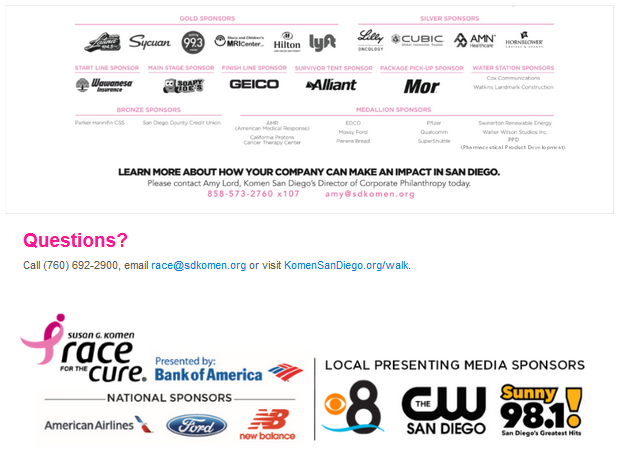 Susan G. Komen San Diego | We reached our goal — It’s all thanks to you! 16 Nov We reached our goal — It’s all thanks to you! We are ecstatic to announce we have officially blown past our fundraising goal of $915,000 dollars! 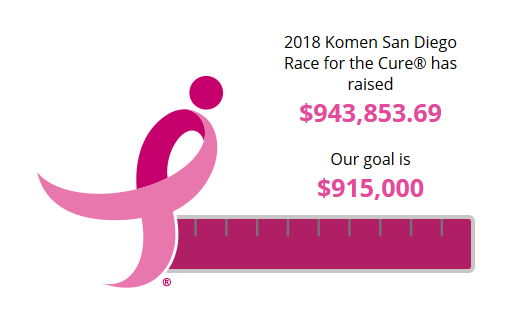 And it’s all thanks to your relentless fundraising, self-donations, commitment to our fight, and the pink wave of walkers who joined us in Balboa Park. 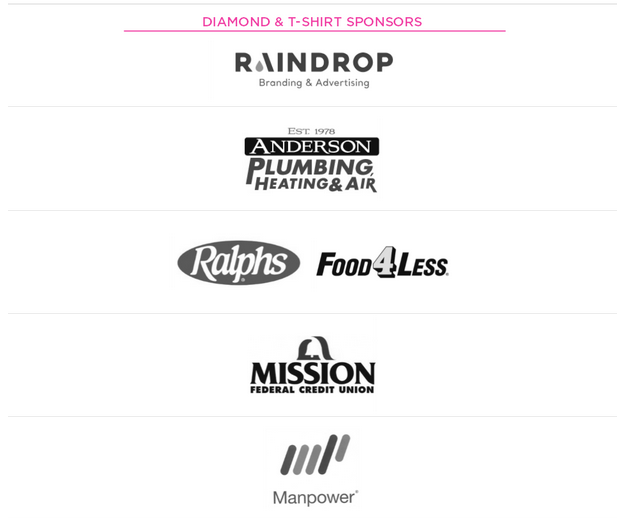 You are helping us ensure women and men in our neighborhoods get the support they need through every step of their breast cancer journey. Let’s take a moment to celebrate this victory. Thank you for sharing your laughs, hugs, tears and strength at the Race for the Cure. While we are thrilled to have reached our goal, we know that there are more people in San Diego that need our help. If you have not had a chance to donate, there is still time to join the movement against breast cancer. Funds stay local. The Race for the Cure was a culmination of thousands of supporters and community partners coming together in the fight against breast cancer. Here’s a glimpse of our day at the Race. 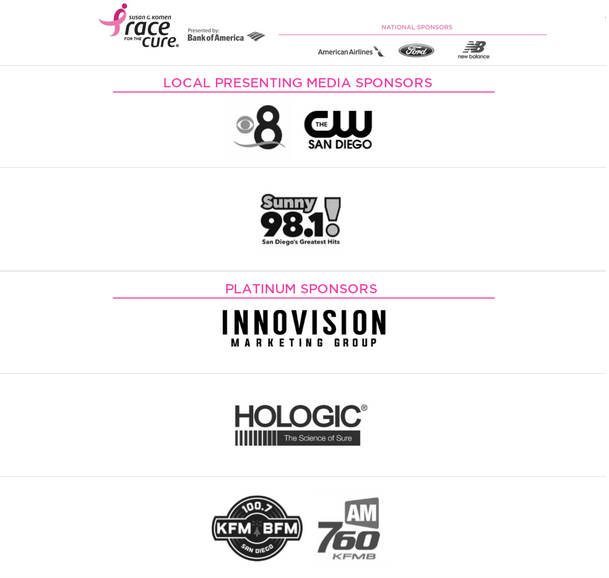 Don’t forget to share your pictures with us on social, tag @KomenSanDiego. Click here to view our 2018 Race for the Cure Facebook Photo Album.